to Bob Greenlee and Ace Moreland. 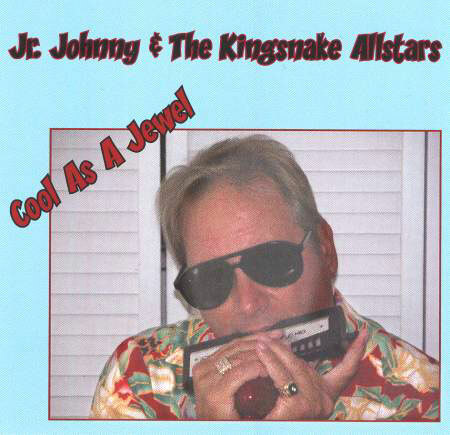 Good piece of work the new album of singer and harmonica player Jr. Johnny. Original own material with an excellent powerful backing support by The Kingsnakes Allstars with Warren King and Ace Moreland on guitars, Ronie Foster on drums and Bob Greenlee on bass. A good band to make shine this innovative harmonica player who is gifted with a deep fat tone together with a natural talent and good taste on the riffs he plays on a very spontaneous way. Twelve songs that cover a wide range of different rhythms and tempos from shuffles to slows, to produce good groove and rhumba. It is probably the best one this great lover of Chicago blues style has ever recorded and I can say it will surprise you for the way, form and good taste he performs along the whole cd. VERY GOOD. Hello Jr. Johnny, I just received your new c.d. “Cool as a Jewel”. I listened to it and it is excellent work! Great song writing, vocals and the harp work is incredible! Great tone! I congradulate you on this all new original blues album. Very interesting! I will present it as “innovation” to my program. 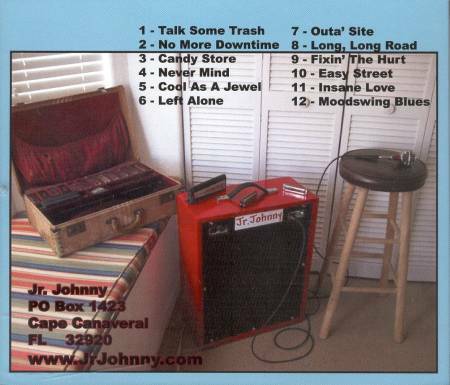 This CD is a real find – Jr. Johnny uses one of his custom made harp amps here – Awesome tone and all original! You got to hear this!!! With contributions from past blues luminaries such as Bob Greenlee and Ace Moreland, Johnny has created a harp-driven blues disc that defines the word “smokin”. The Kingsnake Allstars are no slouches either. Warren King (guitar) and Ronnie “Bird” Foster (drums) slide right into the groove and help to underwrite Johnny’s perfectly-suited vocals. Jr. Johnny is a talent that should be headlining blues clubs and festivals wherever he goes. He can blow the blues like the masters, yet clearly has a slant of his own. 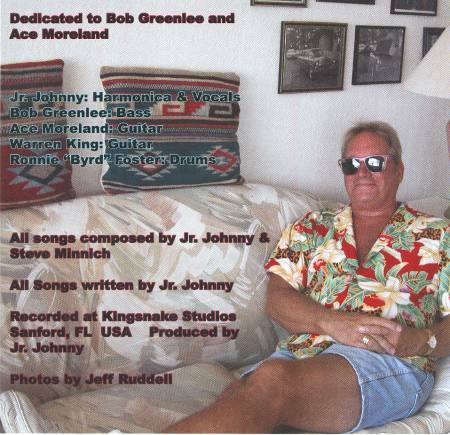 Jr. Johnny has dedicated this CD to Bob Greenlee and Ace Moreland. Ya…Jr. Johnny did it again with “another” twelve originals! A blues man and a prolific songwriter. He’s like Johnny Cash, Jr. Wells and the Blues Brothers all rolled into one. When you listen to him, you can swear your in a Texas bar in the 1950’s hearing some amazing unknown blues man who was transported in a time warp into 2007 and it just doesn’t get any cooler than Jr. Johnny.